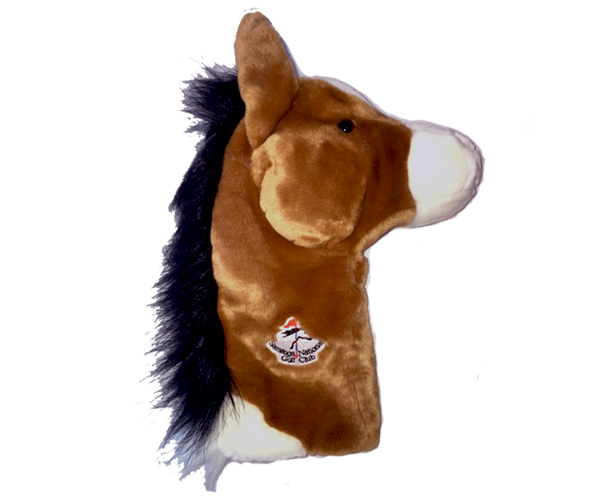 You can't help but love our fun horse head logo club cover! Each horse is fully lined and elasticized to ensure a secure fit on your clubs. Our horse head cover is designed to protect your woods. Each horse is guaranteed for life. Detail is crucial: The eyes and nose are custom-made for us in Italy. Makes a great one-of-a-kind gift!